On November 30, 2018, Mr. Forrest (DOB 01/08/02) pled guilty to the amended charge of Manslaughter in the Second Degree, Tampering with Physical Evidence, and Possession of a Handgun by a Minor. Mr. Forrest admitted to his guilt in causing the death of Tavon Yelder on July 31, 2018. Mr. Forrest, who is 16 years old, was reported to be irresponsibly handling a gun throughout the night. At the time of the incident, Mr. Yelder was seated in front of Mr. Forrest playing a video game. Mr. Forrest pointed the handgun at Mr. Yelder’s head and shot. At the plea, Mr. Forrest informed the court that he was attempting to decock the gun when he shot Mr. Yelder. Sentencing is scheduled for January 23, 2019 at 8:15 a.m. in Division 3 of Jefferson Circuit Court. Emily Lantz is the prosecutor. Ms. Gonsman (DOB 06/12/1997) is charged with assaulting the victim R.S. on multiple occasions between October 17, 2018 and November 17, 2018. The victim is an adult with autism who, due to his mental condition, was unable to protect himself from the defendant’s abuse. During the course of approximately one month, the defendant struck the victim with cords, shot him at close range with an airsoft rifle and handgun, burned him, cut him, strangled him, and unlawfully restrained him. The victim sustained multiple injuries as a result of the defendant’s actions. 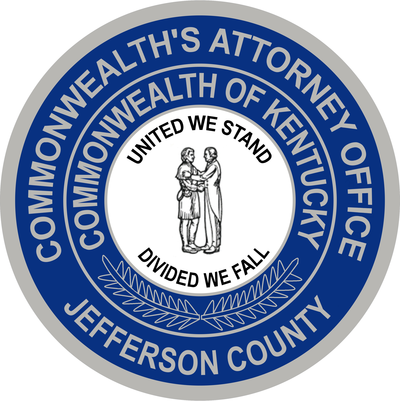 The defendant was arraigned in Division 9 of Jefferson Circuit Court on November 28, 2018. A pretrial conference is scheduled for January 15, 2019 at 9:15 a.m. Emily Lantz is the prosecutor. Mr. Blackmon (DOB 01/06/91) is charged with the strangulation of his former girlfriend. On August 10, 2017, just days before the victim was expected to give birth to the defendant’s child, the two got into a verbal argument that turned physical. The defendant strangled the victim multiple times and refused to allow her to leave his home. The victim, 9 months pregnant at the time, was able to get away from the defendant and leave his home after being confined there for hours. The Defendant pled guilty to these offenses on October 10, 2018 and final sentencing is scheduled for December 7, 2018 at 9:30 a.m. in Division 2 of Jefferson Circuit Court. Madison Shoffner is the prosecutor. Mr. Risner (DOB 03/26/79) is charged with several crimes which resulted from a crime spree which began on July 22, 2017. The defendant stole a vehicle, drove that vehicle to a residence located at 6306 Blevins Gap Rd where he broke into the dwelling and attempted to remove various items, including a rifle, when the residents returned and caught him in the act. The defendant then fled and attempted to car jack a Good Samaritan that was passing by. The defendant was ultimately overpowered by the Good Samaritan and held at gun point until police arrived. A jury trial is scheduled to begin on Tuesday, December 4, 2018 at 9:30 a.m. in Division 6 of Jefferson Circuit Court. Doug Meisel and LC Bates are the prosecutors. Mr. Williams (DOB 05/20/97) is charged in connection with the August 2, 2017 shooting death of Robert Leachman on Brashear Drive in the Park Hill neighborhood. A trial is scheduled to begin on Tuesday, December 4, 2018, at 10:00 a.m. in Division 7 of Jefferson Circuit Court. Jeff Cooke and Jennifer Bell are the prosecutors. Mr. Bates (DOB 03/13/93) is charged with the Murder of the 3 month old son of his then-girlfriend. The child was in the custody of Mr. Bates at the time that he received fatal blunt-force injuries which resulted in his death. A Jury Trial is scheduled to begin on Tuesday December 4, 2018 at 10:00 a.m. in Division 7 of Jefferson Circuit Court. Danielle Yannelli is the prosecutor.